This cutting edge collection examines Japan's population issue, exploring how declining demographic trends are affecting Japan's social structure, specifically in the context of Greater Tokyo, life infrastructure, public finance and the economy. Considering the failures of past Japanese policies from the perspective of population, national land, and politics, it argues that the inability of past administrations to develop a long-term and comprehensive policy has exacerbated the population crisis. This text identifies key negative chain reactions that have stemmed from this policy failure, notably the effect of population decline on future economic growth and public finances and the impact of shrinking municipalities on social and community infrastructure to support quality of life. It also highlights how population decline can precipitate inter-generational conflict, and impact on the strength of the state and more widely on Japan's international status. Japan is on the forefront of the population problem, which is expected to affect many of the world's advanced industrial economies in the 21st century. 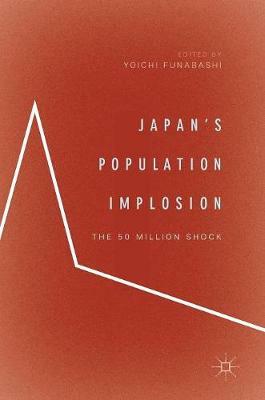 Based on the study of policy failures, this book makes recommendations for effective population policy - covering both `mitigation' measures to encourage a recovery in the depopulation process as well as `adaptation' measures to maintain and improve living standards - and provides key insights into dealing with the debilitating effects of population decline.